See comparisons of various language programs and additional language links below. When I was growing up, my maternal grandmother was a teacher in a Christian school - and she taught German (since she had learned it in her school as a young girl in England). My uncle (and aunt and cousins) was a missionary in Puerto Rico (later in Spain) and therefore spoke fluent Spanish. But when I reached 7th grade and had the opportunity to select a foreign language for study, after hearing all three or four teachers (German, Spanish, Italian, and French) give their 'pitch,' I chose French. Looking back, I'm not sure why, given the access I had to German and Spanish - I think I just liked it. Charlotte Mason taught French first, and many have rightly noted that it was an obvious first 'second language' by reason of geography. The parallel to the United States seems to be Spanish - a language that is commonly spoken in many parts of this country. However, I would encourage people to consider some other factors. Language study, IMHO, is not to be done purely for pragmatic reasons of how many people around you speak that language. I do not have a French community nearby, nor do I have French neighbors or a French televison station. However, my knowledge of French - first of all - has allowed me to begin to see through the eyes of another culture, and that is a crucial element of long-term foreign language study (not just saying things the way other people say them, but seeing things the way they see them). It makes it easier to transfer that to other cultures - once you've done it with one. I think this is an important but often neglected ingredient of foreign language study. Secondly, my knowledge of French has enhanced my knowledge of English. I see this now in my oldest daughter's education, as her knowledge of English grammar is at a significant level - which I attribute to her foreign language study. I think Charlotte Mason would agree with that. Thirdly, my foundation of French has made the transition to learning additional languages (which is what Charlotte Mason advocated) much easier. I'm teaching my younger 2 children (8 and 5 yo) French, but my oldest (10th grade) is now also learning Koine Greek (New Testament Greek) and also Latin. We expect to add Spanish next year. We don't intend to learn each language to the same depth. French is the 'deepest', with us working on literature and grammar, as well as conversation. Greek is learned to have an appreciation for the original language of the New Testament and to aid in Bible study, and Latin is learned to ameloriate vocabulary skills in English. Spanish will be learned just to the level of basic conversation - much like a traveler's level. (I do see importance in Americans knowing some Spanish.) But I find that learning multiple languages is easier than most would think, once a foundational 'second language' is learned. For each of these reasons, French is not the issue. It could be any language - but for us, French has worked well. There is a final consideration in foreign language study that I think is important. We've addressed the pragmatism of learning one language over another, in order to get to use the language. That's great - and I support that. But I would challenge families to realize that it's a "small world" today - and access to many foreign languages is growing, not diminishing. But most important, it's not the particular foreign language that's important, it's the fact of learning a foreign language that is vital. We have an issue in the United States right now in which only a handful of people in the CIA or the Pentagon, for instance, speak the languages of the area in which the enemy terrorists live. I think that may be attributable to the de-emphasis on foreign language in our schools in recent years (emphasizing math and science instead - so that we've got all these great computer skills, but we don't know how to understand another culture and worldview, and we don't have the skills to learn their languages). If someone learns one language somewhat 'deeply,' then learning additional pertinent or timely languages is much easier. We don't know what language our children may need to learn - as missionaries, as people in the military or government positions, or other situations. They may be languages we wouldn't even think of now - but foreign language study is more than being able to count in Spanish, French, or German - it's understanding how to learn a foreign language, and how to appreciate someone else's perspective. I guess what I'm saying is that I don't think one language is superior than another for a first 'second language' - I think it should be one that you stick with over a period of time, so that your child can learn it with some proficiency...and then the next language will be much easier. As much as I have enjoyed PowerGlide French, it will only take one so far. What, then to do with a 2nd or 3rd year student of French? I have kind of turned French Studies into a hobby, so I thought I'd share some things with this group. 1) I use as much French at home with my children as possible - using English words as needed. The more French we learn, the more we use. 7) Lyric Language VCR tape - 10 songs, sung in both French and English (Spanish version also available). My kids quickly learned these songs, and I hear them singing them when playing together. Good increase in vocabulary, but I would not use this as a stand-alone curriculum. Having said that, this is a great augmentation to PowerGlide. I would put Muzzy in this category also, although Muzzy is much less interesting, and less interactive. (Muzzy also comes in Spanish. I would not spend the money for Muzzy, I'd buy a DVD player instead, and DVD's that have the language track of choice. Then your kids are watching movies they like, not just Muzzy over and over, which my kids didn't really like anyway). 8) DVD player. Because of country coding, DVD's released in the US are the same ones released in Canada, so many DVD's sold in America have a French language track or French subtitles available. Once familiar with the movie, I don't let my kids listen in English at all. If they want to watch the movie, they know they have to listen to the French. Although I dislike Disney, we do enjoy the recently released animated version of Tarzan. Phil Colins does the singing on all 3 sound tracks - English, Spanish and French. Nice way to compare the sounds of all 3 languages, and the vocabulary is not too difficult for 2nd yr. French students. Some violence, be prepared for a good vs evil theme. The Princess Bride DVD does not have a French language track, but does have French subtitles. We turn off the volume, and just read in the French. Since my kids can quote this movie forward and backward in English, they have no trouble at all following the French. The Wizard of OZ DVD has a French language track, but the songs are the originals in English. Vocabulary is more difficult than Tarzan. 9) Books in French. Our local library has a very limited selection, and many are difficult to understand unless your vocabulary is high. Recently at a library book sale, we obtained a box of French books at varying levels... from easy readers (some English and French) to The Old Man and the Sea by Hemmingway. One of the best books that has helped me is "Easy French Reader" by R.de Roussy de Sales. Title does not do it justice, as it contains conversations, history lessons, and 'edited' short stories that progress in difficulty. Quite challenging toward the end. 10) CD's and CD-ROM programs. Personally, I like audio productions that I can pop into the CD player when the kids and I are out running errands in the car, or on trips. Berlitz has some, and are dry, particularly for younger ones. (Berlitz's focus is giving you phrases you might need if traveling in a foreign country). Berlitz might be usable for self-starters, self-motivators. I've not found any CD-ROM French programs that really helped a lot. I'm not sure why, as I like computers, but I just don't get much from these types of programs. Maybe it is my learning style, so decide for yourself. 11) I keep a French notebook. In it, I keep my list of common French words, my word of the day and sentences of the day, and any notes I make of French grammar or French helps. This notebook has turned out to be a great resource for me, and I having my kids start their own French notebooks when they are ready. 12) I would love to be able to take my kids to a French-speaking church, but there are none in our area. This might be a valuable resource for some of you to consider. Hope this helps, and would be interested to hear what others are doing for 2nd, 3rd, etc. year language study. Have you read the Parents' Review article on teaching languages (Beginning Modern Languages) that was posted to the AmblesideOnline site? The writer gives a list of advice and theories about teaching languages (some of them humorous) and then ends up (with tongue in cheek, I think) with the piece of advice not to bother teaching languages at all because it's impossible to really learn them in England. Charlotte Mason's students started with French, which was quite logical for them as many of them had opportunities to spend time in France. In keeping with that pattern, we recommend starting with a modern language (Spanish, French or another language that makes sense for you). Most of the language teaching you'd do with a young child would be oral, so Latin would probably not be the first choice there. You could of course teach the chants and so on, but they're not very meaningful until you get into teaching grammar, and I don't think you want to be doing declensions with a young child. Ideally (in CM terms) an older child (say 10 or 11 and up) would have some experience with a modern language and be ready to take on Latin grammar. If they haven't had that background, then of course it's your choice whether you want to focus on one or the other. Question: "I would like o start with French as our Foreign Language. What program should I start with? Also when is a good time to start Latin?" I think you have to choose something that meets your needs as a teacher. I haven't tried the popular programs like Powerglide simply because I don't have access to them and can't afford them right now; but I've heard great things from people who have used Powerglide and Rosetta Stone. Some people highly recommend The Learnables and others say it's boring. I think you could use all of these (as teacher) without knowing the language well yourself. Another less expensive option, suitable for elementary grades, would be the "Teach Me French" and "Teach Me More French" tapes; they come with the words and coloring/activity books. Finally, a popular program in Canada is "L'Art de Lire", and their website is http://www.nallenart.com , I'm pretty sure. If that link doesn't work, just search for "Nallenart". If you have some fluency in the language, then it's easier to use a textbook or put together your own lessons using French children's books and tapes, TV programs, online resources, etc. Our library has quite a good selection and we receive a couple of TV channels with French childrens' shows (and French versions of shows like Arthur that my kids are already familiar with). The main thing seems to be not which program you use, but the amount of consistent exposure your child gets to the language. Of course that's the most difficult thing unless you live somewhere where the second language is spoken, or you speak it fluently yourself! But even some training in another language will help, even if perfect fluency isn't the goal. CM didn't recommend Latin as first language--largely because Latin is learned grammatically, while other languages can be learned by ear. CM recommended Latin beginning a little later--say age 10 to 12--while a second or even third language could be learned in spoken form by very young children. It's a judgment call for each family. We've chosen not to bother with Latin in the elementary years because we live in a foreign country, and the children need to focus on their "real" second language. At the same time, I decided that the "vocabulary" aspect of Latin was the most valid reason for learning it, and we have used English From the Roots Up to (slowly) learn those roots (Greek and Latin!). These notes about various foreign language programs on the market were compiled from various member opinions on the AmblesideOnline email list. The Advisory has not used all of these programs and therefore cannot give opinions about the compatibility with CM for all of them. These notes are posted to give as much information as possible to those contemplating a foreign language purchase for their children. Please note - list members generally agree that no program can take the place of frequent exposure to that language in a normal setting, such as actually living in a foreign country where that language is spoken, or having a parent who speaks that language. It is also of note that in Jane Healy's book Endangered Minds, children who weren't receiving language stimulation in their native tongue - who were spending more time in front of TVs and video games than in regular, normal conversation with their parents, did not pick up a foreign language when their parents hired a foreign-language-speaking maid. For children to benefit from a bilingual environment, they must be fluent in their own language, and that only comes from the kind of active dialog that comes from interacting with parents. Duolingo can be used on a PC or device. Their motto is "Learn a language for free. Forever." They offer 21 language options. Pimsleur is possibly the only program that comes close to Charlotte Mason's method of teaching foreign language. Learnables http://www.learnables.com/ Uses native speakers, starts with listening before speaking, much pointing and looking. Appropriate for ages 6-10. Many members said their children found this one "boring" and expensive. Power Glide http://www.power-glide.com/ Has children's level ("junior") and adult level programs, but nothing in between. Total immersion method in programs for older students; junior level adventure stories, while fun, use stories mixing English and the foreign language, making progress slow. Some parents felt that, although the junior program for young children was fun, children retained little and the teacher's guide wasn't very helpful for parents. Students seem to enjoy the program at both levels. Uses lots of repitition, which helps retention. All conversational, no reading required. Power Glide for older students seems popular among AmblesideOnline members. Power Glide is a pricey program. Phrase A Day for Young Children by Judith White, ages 5-11, limited availablity, may be going out of print? Try http://www.audioforum.com order #SFR275 Amazon.com also sells it as a "special order hard to find" item. Cassette and book (no CD). Simple to use as a first step in learning a new language. Springboard to... series (Springboard to Spanish, Springboard to French, etc) Book with two cassettes. Lessons are in English and the foreign language. Lessons are short, and previous concepts are reviewed in subsequent lessons. Children are taught simple vocabulary and phrases through "Simon says"-type games. This is a fun introductory program. Available from http://www.audioforum.com/ and other places. Rosetta Stone http://www.rosettastone.com/ Computer program with workbook and grammar, so you can read as well as hear the lessons. 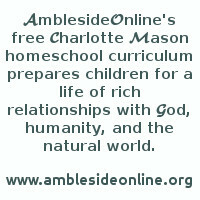 Available in many langages, seems popular among homeschoolers, but is pricey. The Advisory has not been impressed with Rosetta Stone. "L'Art de Lire", or Nallenart French by Canadian homeschooler, Norma Allen http://nallenart.com/ - After completing the course, students should know enough to move into high school French. Highly recommended by Canadian list members. Student must be able to read to use the program (although they have an all oral program, 'L'art de Dire', for pre-readers). One member priced the complete program - six levels of workbooks, cassettes, flashcards, teacher keys, and tests for about $120. Muzzy http://www.early-advantage.com/ Videotaped lessons in story form with supplementary cassettes for practice and a CDRom program. May seem simple, slow and repetitive - some children find it "dull." Expensive, but comes with a 30-day guarantee. Instant Immmersion Language Starter for Kids http://www.eurotalk.co.uk One member found these affordably at Sam's and liked them, but they are expensive from the website. Storybridges to... series features a mother telling familiar folktales to her children, mostly in English, with some phrases in the foreign language. Enjoyable, although not a complete program. Teach Me Tapes songs in various languages http://www.teachmetapes.com/ Cassette or CD. Comes in various languages, including Chinese. Berlitz package cassette tape with story on one side, songs on the other, picture dictionary and flashcards. http://www.optimalearning.com/ has its own language courses, though only one member has recommended them. "10 Minutes a day" series http://www.bbks.com/index.aspx conversational lessons in various languages. Comes with flash cards, pocket pals, sticky labels for 150 items, and a menu. Search Bible translations online in various languages https://www.biblegateway.com/passage/?language=en. WordProject offers the Bible text in 60 various languages, and free audio Bibles in 41 languages. Purchase Bibles in other languages http://www.americanbible.org: "Search the Bible in over 582 versions and over 466 languages, a Bible in our store, or search across our site." French music for children by Sylvie Varten on CD was recommended by a few list members. She is a French pop singer from the 1960's and not all of her music is for children. Her children's music is catchy and she annunciates clearly. Carmen Campagne is another singer of bilingual/French songs recommended by CM moms. More French etexts http://www.momes.net/ "Try going to 'histories' at the following web site for simple stories in French by Charles Perrault, Johan Wolfgang von Goethe, Hans Christian Andersen and others. Some of the other links are good, and you can listen to some music clips etc." "The 'comptines' button has some good stuff too." Classic stories in Spanish http://www.leemeuncuento.com.ar Click under "Sala de Lecturas." Stories are under "Cuentos Clasicos" and poems under "Poemas"
Jose-Luis Orozco "De Colores and Other Latin-American Folk songs for Children" is all sung in Spanish, but includes English translations.